Based on extensive scientific research, Fluid Inside is engineered to enhance your helmet’s ability to protect your brain by mimicking Cerebral Spinal Fluid (CSF) – your body’s natural protection. To mitigate brain injuries, all types of rotational and linear acceleration forces need to be managed independently and simultaneously. Important variables to assess include the shape and duration of the acceleration curves, as well as stresses and strains on the brain tissue. Each Fluid Inside™ integration is composed of a matrix of Pods arranged inside the helmet and optimally tuned to meet the needs of each sport-specific helmet application. Fluid® incorporates a matrix of pods oriented around the head and attached to the helmet interior. By precisely decoupling or “floating” the helmet on the head, each Fluid pod matrix acts like CSF to manage linear and rotational forces acting on soft brain tissue. At the moment of impact, the foam compresses to provide added low linear impact protection. Simultaneously, low shear fluid is dispersed throughout the pod creating a low shear plane that permits motion of the helmet relative to the head to provide rotational force protection. Scientists have known for years that in order to mitigate brain injuries, both rotational and linear acceleration forces acting on the brain inside the skull need to be managed independently and simultaneously. The shape and duration of the acceleration curves that create stresses and strains in the brain tissue also need to be managed for each sport or activity.  Crash like impacts where the head and brain stop (decelerate) in a straight line. Most modern helmets are a combination of an outer shell and a stiff foam liner and designed to crush at high linear impact forces to absorb enough energy to protect against skull fractures and intracranial hemorrhaging. These rotational forces on the soft brain tissue are strongly implicated in concussive brain injuries, and therefore must be effectively managed in order to design a truly safer helmet overall. Impact management materials currently used in helmets and protective equipment manage either rotational or linear energy - not both. In the case of helmets, these materials exceed the shear force properties of Jell-O like brain tissue. Furthermore, these other solutions depend on mechanical systems or rate dependent materials that are soft until stretched very quickly. Each has its own set of limitations in trying to meet the known response rates associated with brain soft tissue. To truly be effective, the shape and duration of the acceleration curves that create stresses and strains in the brain tissue need to be managed for each sport or activity. To do so, the helmet materials have to respond to the rate and duration of shear for each type of impact event if it is going to protect against concussions. The standardized testing of Fluid Inside™ equipped ski and bike helmets has shown to significantly reduce the impact severity of rotational and linear impacts by up to 39% and 22% respectively when compared to conventional ski and bike helmets. According to the Neurotrauma Impact Science Lab (NISL) - a world-leading research facility for the study of sport-related head injury.